On Wednesday January 30th, from 10:00 a.m. to 12:00 noon, we will have Story Hour and Family Playgroup in the Kids’ Area. Our theme will be Groundhog Day, which occurs on February 2nd. 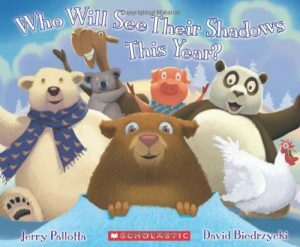 We will read Who Will See Their Shadows This Year?, Ten Grouchy Groundhogs, and Groundhog Day. We will have finger plays, songs and a small craft. Please bring an adult to share the fun with you.